The knowledge of one’s own applications and processes is among machine manufacturers’ core competences. Differentiation in these areas is decisive for commercial success. Thanks to its open software architecture, the KeControl FlexCore control system offers optimum flexibility for individual solutions. 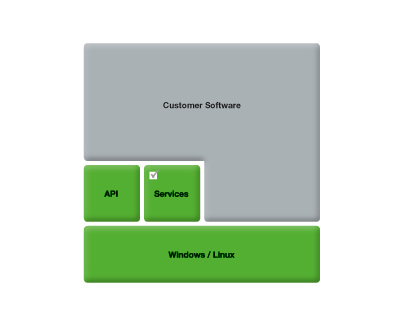 Customers' own software modules can be deeply integrated – all the way down to the level of the control core – and combined with the proven KEBA systems. The KeStudio tools suite can also be adapted with customers' own plug-ins. Customers decide which modules from KEBA are used and which are integrated. 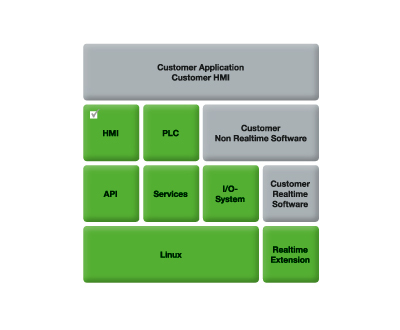 In addition to the possibility of calling C functions from the IEC application, customers can integrate their own runtime systems. 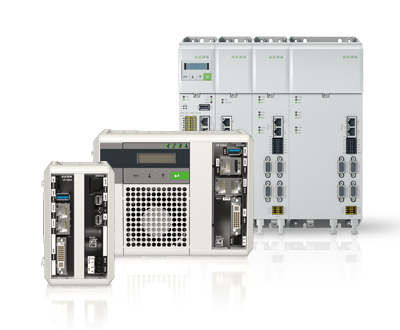 KeControl FlexCore features modular configuration levels, from the pure operating system with standard API to the realtime-capable industry solution with complete technology modules for injection molding technology, motion and robotics. 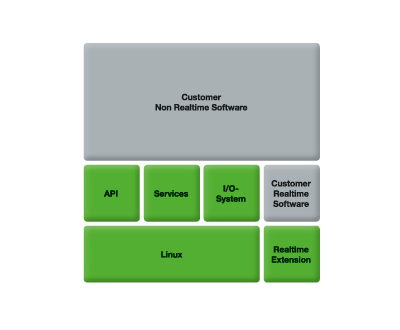 With standardized, well-documented interfaces, the system can be individually expanded on every level. Even direct access to the control core and the realtime operating system are possible. 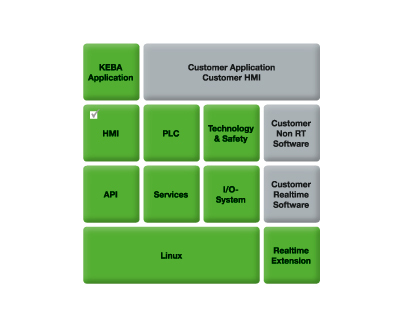 By using proven KEBA technology, customers can concentrate fully on their own core competencies. The capacities thereby gained are available for implementing additional distinguishing features. 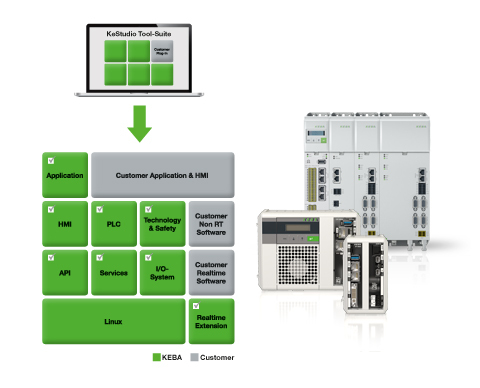 With the help of the KEBA KeStudio development environment, customers can integrate software in the KeControl FlexCore system themselves and do not need to pass their source code on to third parties. This guarantees the best-possible know-how protection, safeguarding customers' competitiveness. To meet all customer requirements, hardware components are available with various scaling. In addition, it is possible to select from various technology modules depending on needs. Additional services for easy diagnostics, etc. FlexCore TECHNOLOGY is available as KePlast and as KeMotion industry solution.